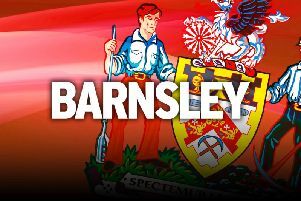 Barnsley boss Lee Johnson believes new boy Alfie Mawson has bags of potential following his move from Championship side Brentford. The manager has been keen to bolster his backline during the transfer window, and 21-year-old Mawson fits his philosophy of bringing in talented young footballers. After pursuing the promising centre-half for most of the summer, Johnson is delighted to have finally got his man, and is certain that he can play at a higher level than League One. “It’s fantastic, a great signing for us, and one that we’ve tracked all summer as a club,” said the Reds boss. “We made sure we did everything right, and we’re delighted really because of the competition. I think it shows our statement of intent. “He had a great year last year. He’s still very young, people shouldn’t forget that, and it is a step up for him, but we believe that this lad is Championship quality minimum, and potentially even higher. “I think it shows the character of the lad, the fact that he wants to come here when he’s had some more lucrative offers shows what he’s about. Mawson spoke highly of Johnson having met several other managers this summer as he tried to decide his future. The former Wycombe loanee stated that the Reds manager swayed his decision by convincing him he could push him to the next level, but Johnson has played down his personal role in the transfer. “It’s not me, it’s genuinely for the club,” he added. “It’s a good place, and if you like it’s an easy sell. We’ve got great facilities, we’ve got a good young group, the fans are fantastic and everything is positive. Meanwhile, as talks with Bolton striker Conor Wilkinson appear to have stalled, the Reds are believed to have turned their attention to free agent Jon Stead, who played four times under Johnson in a loan spell at Oldham in 2014. The 32-year-old target man was released by Huddersfield this summer, having spent most the season on loan at Bradford, playing a big part in their notable FA Cup run to the quarter-final. Stead has scored 105 goals in 463 professional appearances.